Come celebrate the opening of the new Wildlife Loop Trail at the Rutgers Ecological Preserve. Sunday October 28, 2018 2-4 pm. Meet at EcoPreserve Trailhead Kiosk across from the Avenue E/Rockafeller Avenue Roundabout. A guided walk of approximately 2 miles will be led by EcoPreserve Director Rick Lathrop. The Rutgers EcoPreserve land stewards have been hard at work blazing the new 1.4 mile Wildlife Loop Trail. The trail opens up the whole western section of the EcoPreserve to access for hiking, nature study, running, mountain biking, and snowshoeing/skiing. Winding through maple-oak-cedar woodlands and open glades the trail traverses a variety of terrain. Literally a ton of lumber needed to be hand-carried over a 1/3 of a mile into the Preserve to build a bridge across the headwaters of Metlar’s Brook and a 100 yard-long boardwalk over a wetland seep. 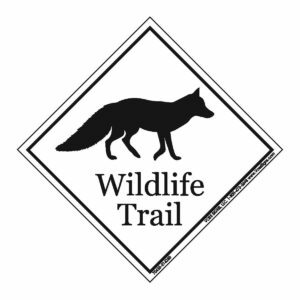 Volunteers from the Student Chapter of the Wildlife Society and the Rutgers University Outdoors Club, as well as outside groups including the Raritan Valley Road Runners and the Friends of the Ecological Preserve assisted in the trail construction.